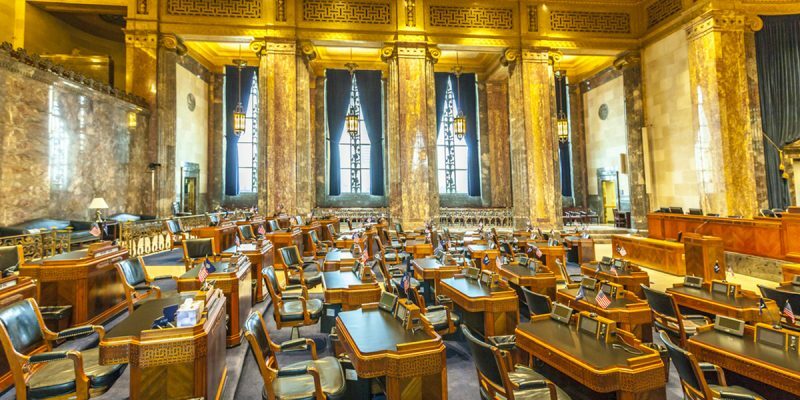 Some of Louisiana’s most honorable leaders took to the House Floor in Baton Rouge today—in a strong showing of bipartisan leadership—to amend and correct a school prayer bill that could have been very harmful to the cause of religious liberty in our state and beyond. After America’s top Christian religious liberty defense organizations and experts explained the inadvisable and counterproductive nature of La. SB 512 (see Kevin Boyd’s May 9 post on our previous objections), principled leaders such as State Representatives Rick Edmonds, Alan Seabaugh and Katrina Jackson, among others, sought our counsel on how best to navigate through the current situation to reach a favorable resolution and pass a school prayer bill that can actually be upheld by reviewing courts, help to resolve the current concerns and confusion of teachers and coaches, and positively advance the cause of religious freedom in public schools. The result was the Edmonds Amendment, which was introduced this afternoon on the House Floor, and passed with a landslide majority over the objection of the bill author, Sen. Ryan Gatti. That amendment stripped the original, blatantly unconstitutional language of SB 512, and replaced it entirely with new language that should pass court muster and help solve the current problem. After the Edmonds Amendment corrected the bill, it passed the House 99-0. While many Americans disagree with the prohibition against school-sponsored and teacher-led prayers during school hours, the issue has unfortunately been concretely settled by federal courts for decades. However, at the same time, the courts have repeatedly affirmed that student-led, student-initiated prayers ARE fully protected by the Constitution. Still, there exists widespread confusion about certain aspects of student religious expression—especially how it should be monitored by school officials. Following court precedent, Louisiana statutes currently provide that “[a] school employee may be assigned to supervise [a student prayer] gathering [during school hours] if such supervision is also requested by the student or students and the school employee volunteers to supervise the gathering.” R.S. 17:2115.11(A). However, because the existing statute does not specifically address the issue, some confusion has arisen regarding whether or not a supervising school employee may respectfully bow his or her own head during the students’ prayers. By adding simple language to R.S. 17:2115.11(A) to codify this commonsense reasoning by the Fifth Circuit, the Edmonds Amendment put SB 512 in a posture to add valuable clarity for school officials who are acting in good faith. Because the simple and subtle act of a supervising teacher quietly bowing his or her head in these scenarios should not be interpreted by any reasonable observer as an unconstitutional state endorsement of religion, the updated statute should be expected to pass court muster if ever challenged. For these reasons, the Edmonds Amendment today provided a helpful, fully constitutional solution that all members could enthusiastically support. Now the bill goes back to the Senate for concurrence in the CORRECTED and REWRITTEN bill that passed the House unanimously today. Every student, parent, educator and citizen of this state who cares about the survival and expansion of our fundamental rights to religious freedom and the influence of religion on public school campuses should wholeheartedly support the NEW version of SB 512.